Around this time of year, I find myself reaching towards the DK and Worsted weight yarns more than any other. 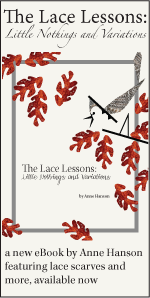 While I enjoy lighter weight yarns year round (and you know that Anne does), I think that there’s something about the chilly weather hitting the Northern Hemisphere that makes me want to knit with something warm, wooly, and a little bit thick. During a recent visit to the Bare Naked Wools headquarters in Canton, OH, I found myself being drawn to Kent, which luckily happens to come in both of these weights. There’s something about the way this yarn is plied that just keeps me enthralled, and today, I’m going to explore the why of it a little more. Kent’s worsted and dk structures are more or less the same. The fiber is a blend of 60% Merino wool and 40% Romney. You might know about Merino – most knitters do – but Romney is often mistakenly classified as a ‘rug wool’ or sadly labeled as ‘scratchy’. It’s true that some Romney wools are scratchy, but not the one in this blend. I honestly couldn’t have told you it was Romney from first touch. 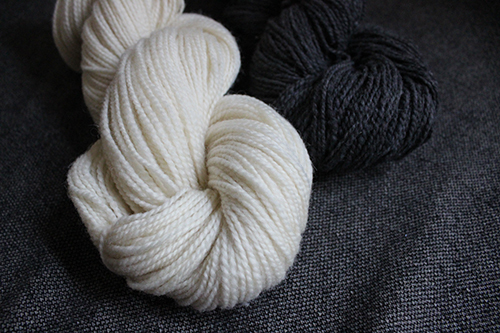 Did you know that when Romney wools are dyed, they lose some of their inherent softness? Even high quality Romney feels like a totally different fiber when it’s been dyed by the best of the best. You really haven’t experienced this wool until you’ve felt it in a near-natural state (like Kent!). Kent is a two ply, and one of the squishiest two plies I’ve ever used — the plies nestle up against each other and when the swatch (or garment) is washed, fill up the empty space in a beautiful way. Because Romney is a longwool, it adds luster and shine to the supremely soft Merino, and adds a bit of drape to the finished fabric. 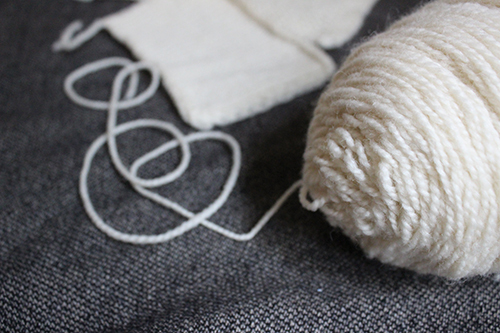 Like all Bare Naked Wools, our Kent benefits from a nice long soak in warm (or hot) water with a bit of wool wash (read how to make your own here.) Wool goes through a lot before it gets to you, and while we skip many portions of that process in favor of a more natural texture in our yarns, each skein has still sat on mill floors, been through spinning machines that likely deposited a bit of oil onto the yarn, and has been handled, then stored in plastic bags until it was shipped to you. It’s not that the skeins are dirty, in the same way that you aren’t necessarily dirty after a long trip, but don’t you — and your yarn — deserve a bit of freshening up time before you’re ready to be judged by someone new? Anne recommends waiting until your hot water is completely cool before taking your swatches out of the bath, and then letting them soak again for a similar amount of time (no swishing needed) if your first bath is at all cloudy or tinted. After they’re removed, roll them out in a clean towel and squish some of the excess water from them, then vigorously ‘pop’ the swatch from all directions to really help those fibers bloom. Ever wonder why so many top-tier designers like to knit sweaters in pieces? It allows this type of movement of washed garments in a manageable way before they’re pinned out to dry in the correct measurements. I found that my swatches for Bloch Ness ended up telling me I needed to go down another needle size — something I never would have known without this crucial step. Swatches completed, my first cast on for 2017 will be Anne’s Bloch Ness sweater. I’m knitting a size up to give myself a roomy, oversized fit. We’ll be recommending some of our favorite Kent patterns on social media this week, so be sure to follow along on our Facebook page or Instagram. 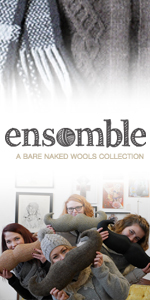 The newest Ensemble, due to be released later this month, will also feature a few patterns in this deliciously springy wool. In the meantime, if you’re searching your Ravelry queues for a new project, we can’t recommend Kent enough for anything that has a massive quantity of stockinette or knit-purl textured stitches or could use a bit of spring. While this yarn does do well with cables, lace, and everything in between, I’ve personally found that one of my favorite applications is mindless knitting – the pleasure of feeling this yarn between your fingers is enough to make any project more interesting. Now excuse me, I have a sweater to knit! Join us for a Fiber Journey in 2017! Was there supposed to be a link to learn to make wool wash? That is definitely something I’d like to learn! 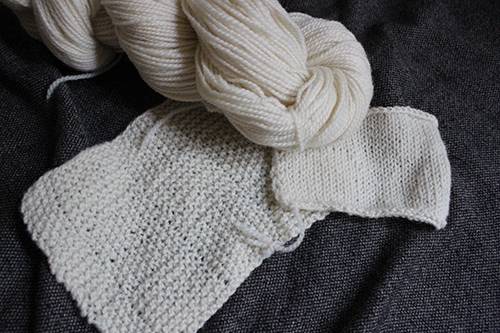 Yep, Kent is a treat to knit, in both weights. Kent is one of my favorite yarns. Thank you for writing this in-depth analysis and review — I understand Kent more now than I did before! I have two Kent DK sweaters (a cardigan of my own creation and a pullover based upon “Leaving”, and they are in heavy use here in Minnesota right now, where temperatures will not go above zero today. I found that the DK knitted comfortably at a worsted weight and the fabric blocks out beautifully, extemely smooth and uniform. I hope you will continue these indepth reviews! Love Kent…it knits up so beautifully. Can’t wait to see your finished Bloch Ness. Kent dk is my hands-down favorite for color-work–love it! Kent is beyond awesome! Except for making it hard to knit as I have to keep stopping to squish….and squish….. I love the hand of Kent,, what a pleasure to knit. I adore my sweater in Kent too. Just a fabulous yarn!